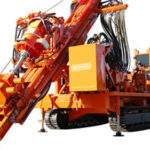 Sonic drilling can drill through nearly all types of soil and rock. When using sonic drilling in soil 30m or less, the drilling is quick. Sonic drilling allows for limited contamination. Sealed exploratory soil samples can be extracted. There is less environmental disturbance. Formation waters can be sampled while using sonic drilling. The process slows down the further down you drill. The depth of 200 metres is about the maximum depth drilling can go. Sonic – The Buzz – Is it Profitable to be Environmentally Friendly? good about their style of corporate citizenship. limited amount of fresh water or completely dry, as well, if required.